Posted on December 6, 2012 . 20 Comments. I probably shouldn’t write this. It’s not the politically correct thing to say. Some people will be offended. But that’s okay, as well as the point. Getting strong is not for everyone. That is not to say that everyone can’t be stronger or couldn’t get stronger. They can, and they could. But the truth is, they won’t. Many will think about it, but few will do it. Even fewer will keep doing it. As I have been known to say, “I don’t make the rules, I just know ‘em. And they apply to me, as well.” This is one of those cases. I have seen this over and over in the 41 years I have been a student of strength, and by direct association, a student of willpower, creative intent, and toughness—both mental and physical. And even more directly in the last fourteen years, I have been a full-time personal trainer. Everyone loves the idea of strength, of being strong, in all its many forms. Of lifting more than they have before. Of running farther and faster than before. Of resisting that cookie or piece of cake they have decided they don’t want to eat. Of being able to make up their mind about something and stick with it. That kind of strength. Becoming strong ain’t easy or everybody would be. It’s really that simple. The bar isn’t going to lift itself, the kettlebell isn’t going to swing itself, and no one but you can make you get out of bed early on a cold dark morning to make yourself do what you said you wanted to do. You have to be tough. And that’s okay. In fact, it’s better than okay, it’s good. If it were too easy, everyone would have it and then it would mean less to have it. At least to me. When I saw Pavel’s first video of the Russian Kettlebell Challenge, these words spoke to me: “Comrades, I give you the Russian Kettlebell Challenge, for those who like it tough, and just a little bit dangerous.” I was a competitive powerlifter at the time and I knew what he meant. Real training, where you are utilizing the body to the fullest is never easy, never comfortable. Being comfortable with being uncomfortable is the first step. What is tough? One way to look at it is being able to endure that which is unpleasant in the process of getting what one really wants to get, or to be. It is the price of admission into the world of the strong. Of being able to set one’s mind to the task at hand and do that which is necessary to achieve it, or as close as possible. To be able to ignore the minor uncomfortable aspects of overcoming the inertia of laziness that seems to grow bigger every year. James Allen, author of As a Man Thinketh, has been paraphrased as saying, “Challenges don’t build character, they reveal it.” And so does the world of strength training. It doesn’t matter if your weapon of choice is a barbell, a kettlebell, or your bodyweight, the real weapon is your mind and your will. And the real obstacle is your weakness and lethargy. Even the act of challenging them will make you stronger. To be able to confront your weaknesses head on and do something about it. To not be pushed back by the task. To be able to say no when that is the right thing to do or to say yes and push forward despite fear or uncertainty of the outcome. It really doesn’t matter what the goal is, when a person is at their limit and the next step is into the unknown, the feeling is always the same. When I could only squat 300lbs, 325 was the unknown and scary. Confronting that bar, which couldn’t care less about my goals or dreams, was the task. Choosing to get under it and risk failure was the only real option to getting stronger. But I had to make the motion and take the risk. Deadlifting 545lbs at a body weight of 181. There is a great prize for those who can, and those who do take the risk—the feeling of being strong. Of living in the world strong. Of knowing if they want to achieve something, they can put their all to it. The ability to create force, which is strength, is in their capacity, in their toolbox. That gives you a confidence that literally cannot be bought, borrowed, stolen, faked, or obtained in any other manner. And few things feel as sweet. That is why when strong people meet, they recognize and respect their peers, no matter if they are strong in disparate disciplines, because they know what that person had to do to get what they achieved. What they endured. What they sacrificed, what they chose. Strength is a choice. It is an attitude. It is a belief in your power to move things in the direction you desire. By sheer force of will and imagination. And toughness. Mark has been traversing the physical culture world for the last 44 years. He has been an elite gymnast, bodybuilder, and powerlifter. He has also trained and raced for ultramarathons and triathlons. 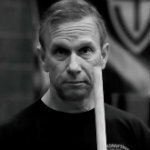 Mark found the kettlebell in 1998, was certified in 2005, and has been teaching others around the globe since. Mark opened the first ever kettlebell-centric gym, Girya, The Art of Strength in 2003. 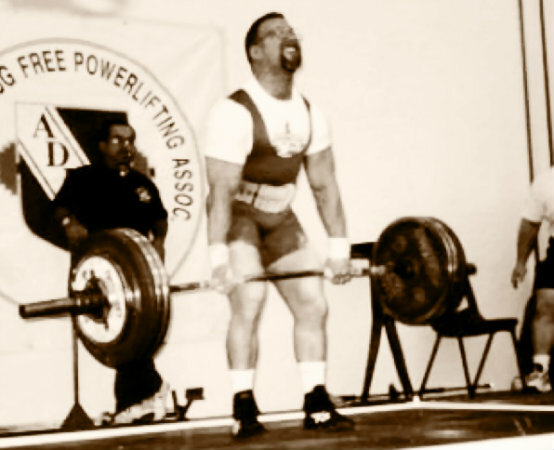 As a coach, he has worked with Olympic gymnasts and was the Head Coach for Women's Team USA in 1995 and the first ever Pan American Powerlifting Chanpionships in 2000. He was the personal coach for one of the most successful American female powerlifters Catherine Kelii. He was also personal coach and training partner for Pro Mr. America and bodybuilding legend Scott Wilson. Mark has been writing in the field since 1979 and has been published by IronMan Magazine, Muscle Mag International, Milo, Runners World, and Velo. 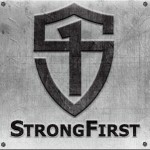 He has also written numerous articles for StrongFirst. He has authored Mastering the Hardstyle Kettlebell Swing, Lats, the Supermuscles, and BodyMaintenance, the Users Guide, and Restoring Lost Physical Function. His blog was the first ever kettlebell blog. His website is Girya Strength, and he can also be found on Facebook. Mark's current project is co-authoring a book with Dr. Ken Ford on delaying sarcopenia (muscle wasting). Well Said, Mark. There are a few of us still who appreciate and actually gravitate to the “politically incorrect” and what others consider “hard, tough, difficult”, whatever. Just yesterday I was trying to explain to my teen daughter (who incidentally just beat out over 100 adults in a very intense 8 week fitness challenge) that the willingness to do what others will not has rewards not only in fitness and physical strength, but also in business and life. Myself, I built a very successful business in the USA (have just moved to Oz) doing a physically tough business that intimidates most. I appreciate the fact you quoted “As A Man Thinketh”. Fantastic book and one I actually just unpacked and have been reading again. All I can do and control is myself. Then I can tell others what I’ve done and my teachers have done, to accomplish their goals. It’s always up to the individual, which , as I wrote , is ok, and the point. Life it tough, and much tougher if you’re weak. very much appreciate your sentiments that strength is a desired quantity and that it comes by doing the work, and that most of us do not put in the work to get there – the strength community is a minority. it’s hard to remember that hanging with strong people. but that’s sad isn’t it – that it’s small? as a mission for growth/success?? Mark – wouldn’t the world be a more wonderful place if everyone were strong – and by extension as disciplined as you suggest and that that were a habit that made it easy – easy strength? little joke there, but that gets back to q1, isn’t this the mission of strong first (or easy strength) ? Enjoyable and clear. Thanks, Mark. Great article Rif! No better time of the year to repost this. With modern technology recreating false tenses of what used to be earned (superficial beauty, weight lose,etc), the one thing I have always loved and valued about fitness is that it can’t be bought. Sharing this with all my friends who are hoping to make changes in 2013. Thanks for another terrific blog, Mark. If your writing “might not be the politically correct thing to say”, it’s only because so many of us have gone soft, and that “toughness” is an exception. And what you say about strong people respecting other strong people, no matter their practice, is right on the money. At the risk of sounding like a glue advertisement; strength bonds. Thank you for this mr. Reifkind! I happen to be one of those older dudes who like to run long, besides lifting. At km. 36 of my last marathon on Nov. 3 my legs cramped, first one at a time then both together, off and on. I HAD to finish, so I banged with my fists on the cramped areas, walked, ran when I could, stretched the opposing muscles, aso up to the finish line. The term STRONG might not directly apply to marathon running per se, but in this particular case, TOUGH did. I finished in 3.24, not bad for a formerly overweight 50 yo. All the best, and keep’em coming! thank you all, this was written from the heart. What I’ve believed and try to live everyday. I couldn’t agree more. This whole article just makes me want to pick up heavy stuff!! Outstanding article! Love the transparent philosophy and it’s so true. Strength is a choice, an attitude, and it means so much more than most people realize. And, great quote by James Allen, just wrote that one down! So, SO well said, Rif. You have a gift of finding the root of the matter and expounding on it in a tremendously profound way. This blog is truly exceptional – Thank you. Yes! Spot on. In other words there is the armchair crowd and those that do. Glad to say I do. “That gives one a confidence that literally cannot be bought, borrowed, stolen, faked, or obtained in any other manner.” <—- This. So much. If there's one thing that strength training gave me the most of, it's confidence in myself and my abilities. That alone makes it a worthy pursuit in addition to all of its parallels to pursuing success in any other endeavor in life. Rock on, Rif – you’ve spoken the truth, plainly and clearly. Reminds me what I learned a long time ago, “if you want it bad enough you will find a way, if you don’t, you will find an excuse.” Great observations, Rif!